Looking after the people of Melrose, MA, Dr. Jennifer Wu is a concerned obstetrician and gynecologist. She is an attending physician at TMCCC OBGYN Main St Melrose, where she provides compassionate care and guidance for the treatment of a wide range of concerns and believes that two-way communication is the key to good health. Dr. Wu is fluent in English and Chinese (Mandarin and Cantonese), which makes her widely accessible to patients from a variety of cultural backgrounds. She is also affiliated with Melrose-Wakefield Hospital and Lawrence Memorial Hospital. She believes that the patient-provider relationship should be built on mutual trust and that it plays a crucial part in patient care. 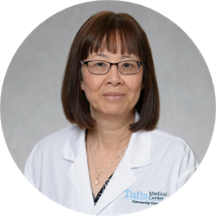 Dr. Wu received her medical degree from Tufts University. She then completed an internship and a residency at Michael Reese Hospital. She also holds certification from the American Board of Obstetrics and Gynecology. A lettered provider, she invests in educating visiting individuals about their health and how they can make minor changes in their daily life to ensure a healthy living.